Light straw green color. Tropical aromas and flavors of dried papaya and pineapple and creamy nougat with a satiny, bright, dry-yet-fruity medium body and a smooth, interesting, long finish revealing touches of spiced apple and banana, pickled melon, and wheatgrass with fine, fruit tannins and no oak flavor. An elegant and very tasty pinot blanc with pure, satisfying fruit flavors. 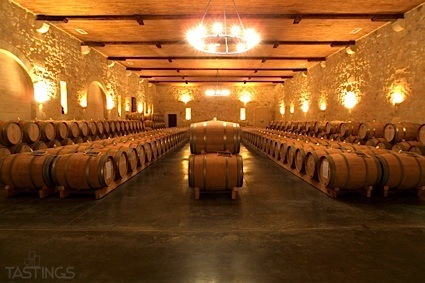 Bottom Line: An elegant and very tasty pinot blanc with pure, satisfying fruit flavors. 88 • Glenora 2014 Cabernet Franc, Finger Lakes 12.5% (USA) $17.99. 92 • Glenora 2015 Dry, Riesling, Finger Lakes 11% (USA) $14.99. 86 • Glenora 2015 Gewurztraminer, Finger Lakes 12.5% (USA) $14.99. 91 • Glenora 2015 Pinot Blanc, Finger Lakes 12% (USA) $14.99. 82 • Glenora 2015 Riesling, Finger Lakes 11.5% (USA) $13.99. 86 • Glenora 2015 Pinot Gris, Finger Lakes 12.5% (USA) $14.99. 88 • Glenora NV Dry , Riesling, Finger Lakes 11.5% (USA) $12.99. 87 • Glenora 2013 Brut Sparkling, Finger Lakes 12% (USA) $29.99. 92 • Glenora 2014 Blanc de Blanc Sparkling , Chardonnay, Finger Lakes 12% (USA) $29.99. 88 • Glenora 2017 Off-Dry , Riesling, Finger Lakes 11.5% (USA) $14.99. 86 • Glenora 2017 Dry , Riesling, Finger Lakes 11.5% (USA) $16.99. 86 • Glenora 2016 Cabernet Franc, Finger Lakes 12% (USA) $17.99. 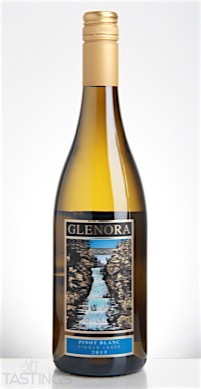 Glenora 2015 Pinot Blanc, Finger Lakes rating was calculated by tastings.com to be 91 points out of 100 on 9/29/2016. Please note that MSRP may have changed since the date of our review.